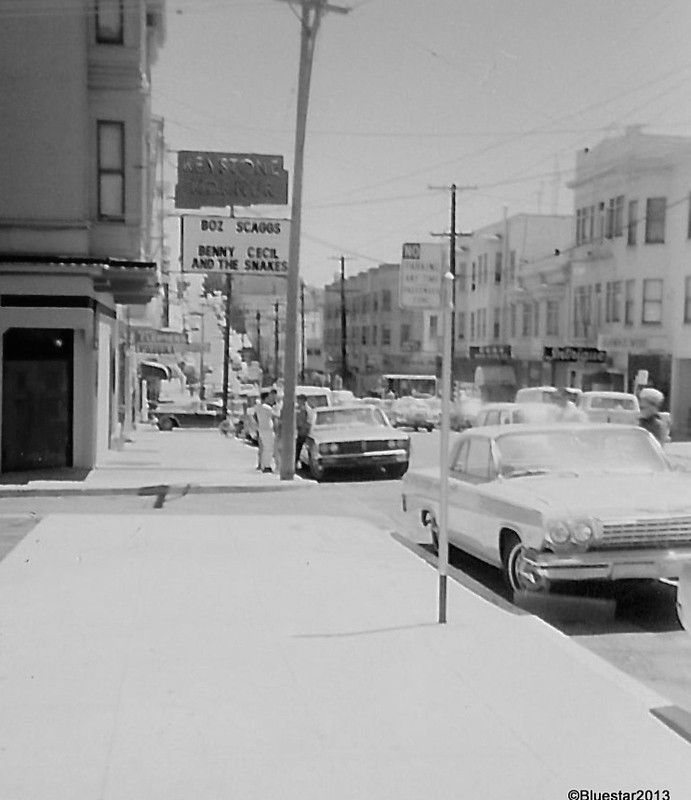 San Francisco, July 1970. The music venue Keystone Korner. Who remembers Boz Scaggs? How about Bennie Cecil and the Snakes? I think we may have to turn on the ‘Way Back Machine’. Posted on April 3, 2014, in Architecture, B&W, buildings, San Francisco, Scanned from 35mm Print, Thoughts and tagged Agfa 35mm, Architecture, B&W, buildings, Car, film, San Francisco, Thoughts. Bookmark the permalink. Leave a comment.